I reviewed Willie's Hog Wash a couple of months ago, but it was actually the rub, Hog Dust, that initially interested me in Willie's products. Hog Dust is a great name for a BBQ rub, especially for a company based in South Carolina where pork is king. It's a product I'd had my eye on for quite some time and was anxious to give it a try. Blended specifically with pork in mind, Willie's Hog Dust is a sweet and salty mix with a hefty amount of paprika. Onion, garlic and a variety of other spices provide savory accents and balance the flavors. Salt, sugar and paprika are always a solid foundation for a good pork rub. The key, of course, is how skillfully the core ingredients are blended. Hog Dust comes in three varieties: Original, Sweet and Spicy. All three are quality blends with similar base ingredients. I've been using each of them constantly for the last couple of months. 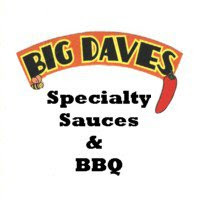 I've applied Hog Dust to ribs and pork butts, but I've also used it on everything from burgers to veggies. I've found Willie's Hog Dust to be a versatile product. The sweet and salty blend has been solid in nearly every situation. My favorite use thus far has been pork ribs. I dusted a couple racks liberally with Hog Dust and smoked them for five hours with aromatic pecan wood. The rub created a delicious mahogany bark that was perfect on the beautiful racks. The salt / sugar ratio in this rub is right on point. I love the caramelization that I get from the sugars, but also the savory flavor provided by the salt and spices. 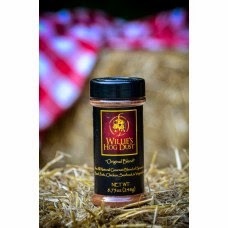 Regardless of what type of meat your grilling or smoking, Willie's Hog Dust will provide ample flavor. It's been quite some time since I've had a rub that I liked as much as Hog Dust. Hot, Sweet or Original, It's all fantastic. It's a product that I would recommend for both home cooks and competitors. 0 Response to "Willie's Hog Dust"